Gutter Services in Limerick. 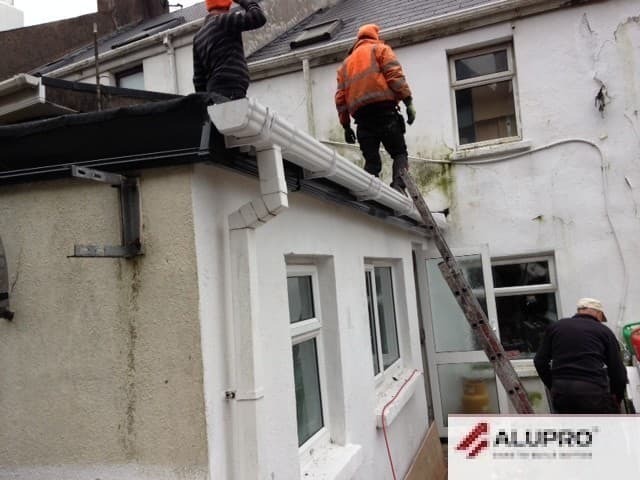 Alupro Guttering Services Limerick at cost price. At Roofing and Guttering Limerick provide all types of guttering repairs & replacement throughout Limerick and beyond. We provide service for all types of guttering such as moulded cast iron, aluminum, and lead gutters. We also provide rainwater drainage clearing & gutter cleaning in Limerick and sourrounding area’s including Limerick .